PORTLAND, Ore.— A new study has found that a pesticide approved by the Environmental Protection Agency as a safer alternative to harmful neonicotinoid products can disorient and kill bees. Flupyradifurone — marketed under the trade name Sivanto — was touted as posing fewer risks to honeybees and other pollinators than neonicotinoid pesticides. But the study, published this week, found that nearly 3 of every 4 honeybees fed “field-realistic” doses of flupyradifurone and a commonly used fungicide died. The Center for Biological Diversity and other conservation groups sued the EPA in 2015 over its initial approval of flupyradifurone, challenging the agency’s refusal to take common-sense measures to protect endangered species from this new and controversial pesticide. That case is in its initial stages at the Washington, D.C. Circuit Court of Appeals. Late last year the maker of flupyradifurone, Bayer CropScience, requested that the EPA further expand the pesticide’s use to 300,000 acres of tobacco crops in states like Kentucky and North Carolina. 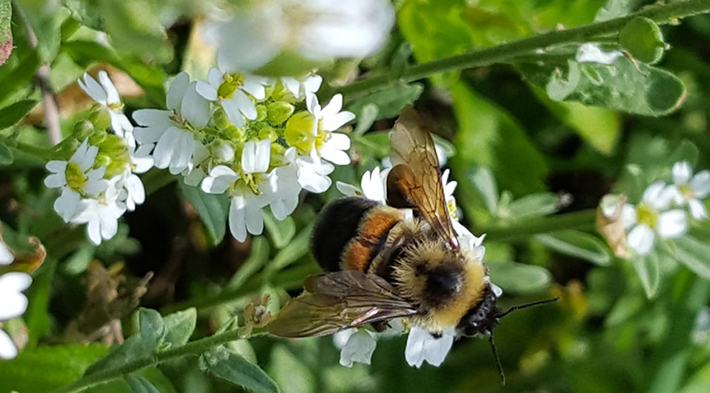 Flupyradifurone is a systemic pesticide with the same mode of action — and potential for harm — as neonicotinoid pesticides, a leading cause of pollinator declines. While the pesticide industry has touted flupyradifurone as a replacement for neonicotinoid pesticides, it poses many of the same risks to nontarget species as neonicotinoids. Flupyradifurone is used on a range of crops such as citrus fruits, avocado trees, squash, peas and other crops attractive to pollinators. Flupyradifurone impairs learning, memory and affinity for nectar rewards in honeybees. It’s also highly water-soluble and decreases the viability of freshwater mussel larvae. It also negatively impacts aquatic mayfly larvae survival at levels comparable to neonicotinoid pesticides like imidacloprid and clothianidin. The new study was published in journal in Proceedings of the Royal Society B: Biological Sciences by researchers at the University of California, San Diego. Rusty patched bumble bee photo by Tamara Smith, USFWS. Images are available for media use.